This is the 20th article of SolidlyStated’s longest running series: The Logitech G27 Racing Wheel for Casual Racing Gamers. Today, as a special request, I have set up the G27 to play Euro Truck Simulator 2. While not a title I would normally review, I found this oddly fun and well built to use your Logitech Wheel with. 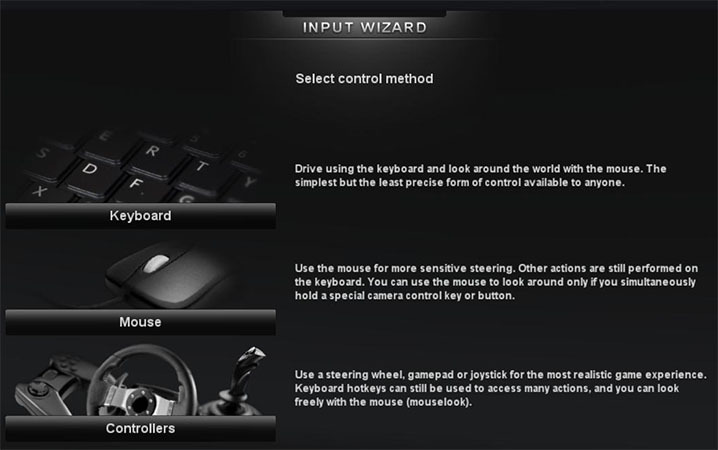 The game has plenty of features and is well-polished, even including a wizard for setting up the G27 or even G25. 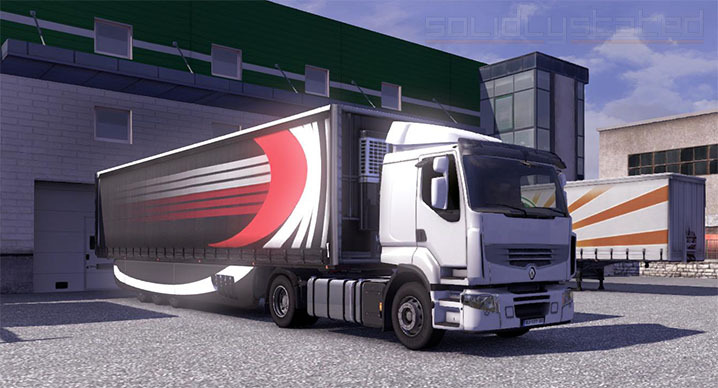 This simulator is sold worldwide in many languages and has you driving big rigs around Europe exclusively, building a career out of hauling loads and making deadlines. I even got a speeding ticket on my first job. This is one of the more straight-forward setups I have done. 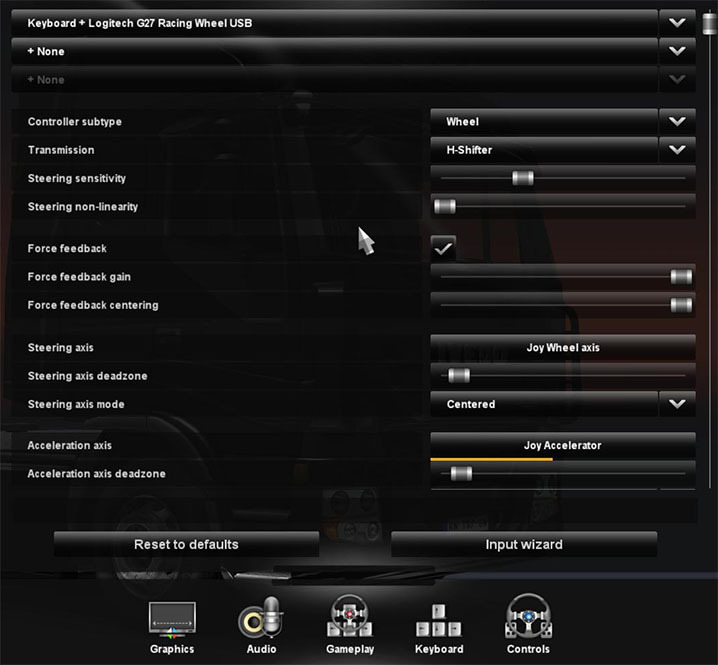 The game automatically recognized the G27 and I only use the profiler to set up the 900° steering (the game defaults at 200, which is way to tight for a large truck). 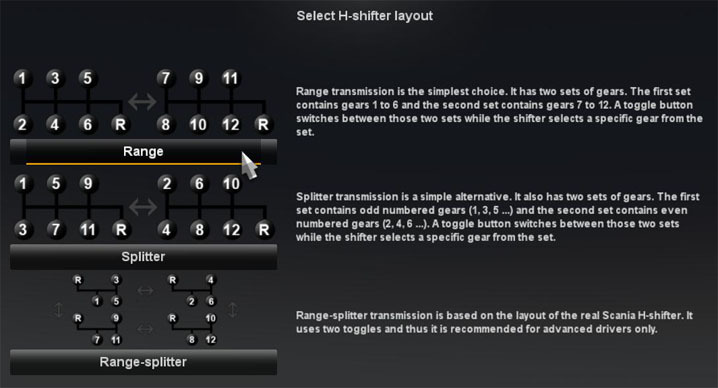 Select your Shifter. The G27 can use any of these, but H-Shifter is all you want for a simulation. Select your type of transmission. I choose the basic Range and it seems to work out fine. This completes the basic wizard setup. You can continue into Advanced settings if you like. This screen shows you gear selection setup. 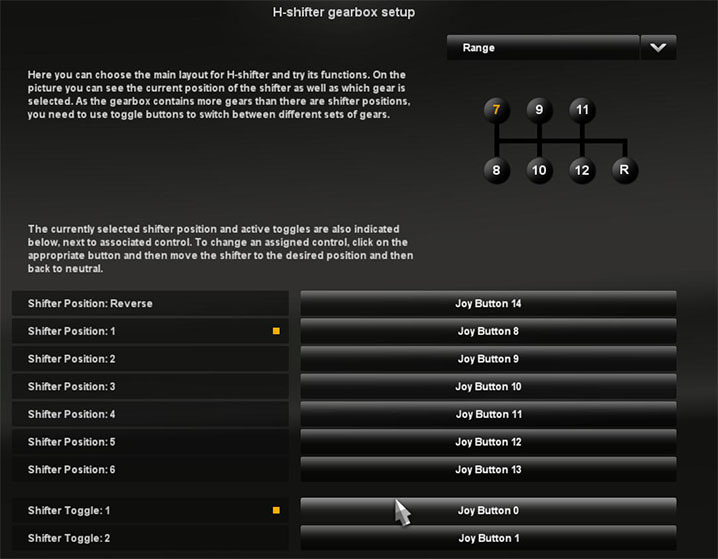 By default, ‘Button 0’ is assigned to toggle gears 1-6 to 7-12. 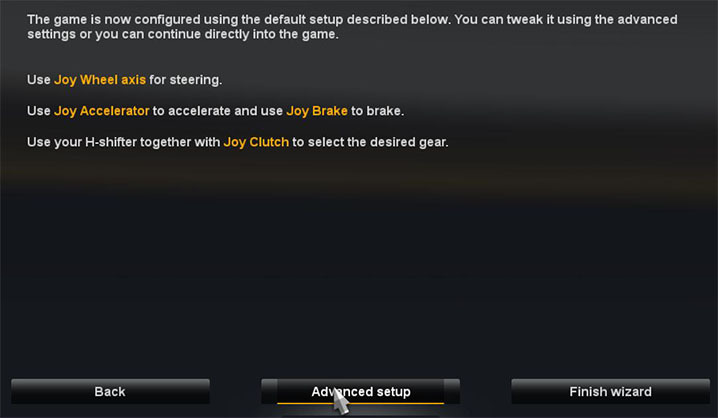 All of your force feedback, steering sensitivity, and steering linearity settings are all set to good defaults. Drive around for awhile before determining if you want to change any of these. The 900° setting in the Logitech profile makes the steering perform very well. 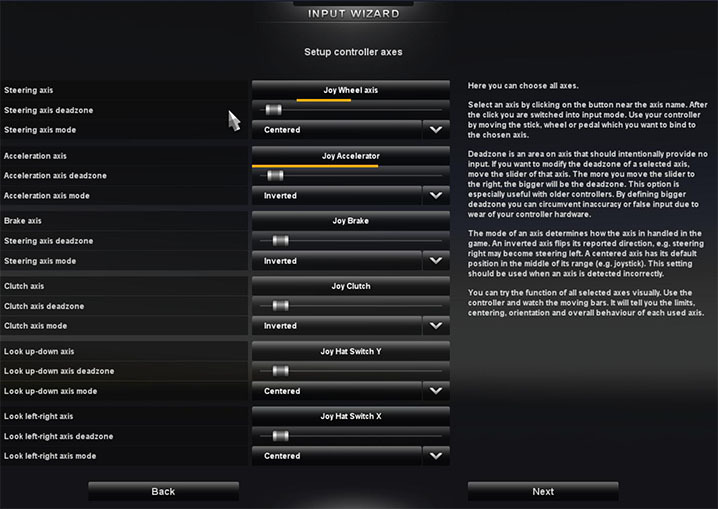 You can pause the game and select Options > Controls to change these at any time. Thanks for this! My roommate loves this game, we just bought a G27 and found your website. 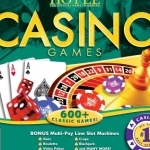 Excellent tips, and easy to follow, I’ll be reading your posts for my other games. Keep up the good work! Hello. 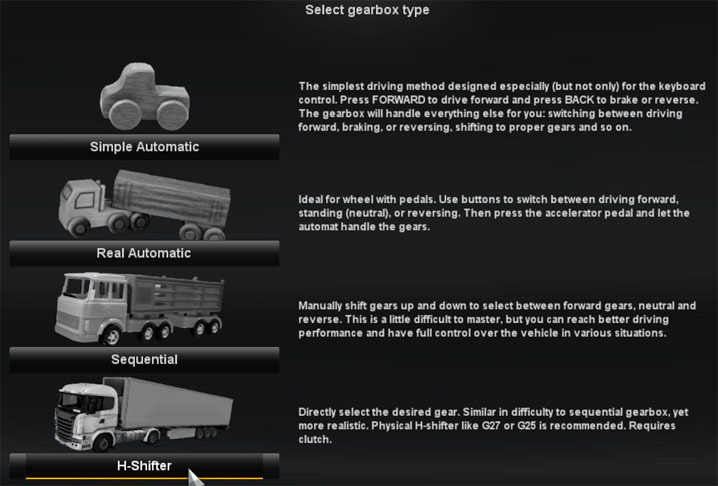 I need help with my g27 in Euro truck simulator 2 MP (Multiplayer). Whenever i turn my wheel in single player it turns like it should but as soon when i get into multiplayer and stear (pardon my horrible english) in any direction it only goes 90 degress in real life but in game it does a full spin. Can anybody please help me i would be very happy. I hope anybody will help me and thank anybody who will help me.